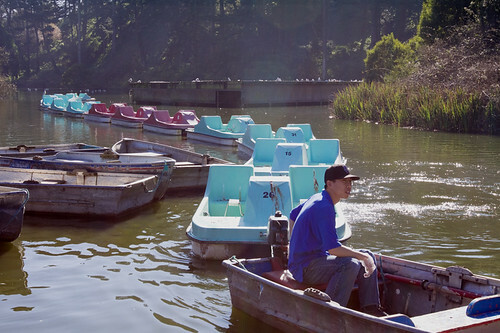 Rent pedal-powered boats at Stow Lake in Golden Gate Park. Stow Lake is a beautiful moat filled with ducks and other waterfowl that enjoy popcorn which is on sale at the snack bar. Best of all, the lake is open year-round because of the city’s mild weather. You and your children can pedal under bridges and over reeds in one of San Francisco’s most beautiful places.